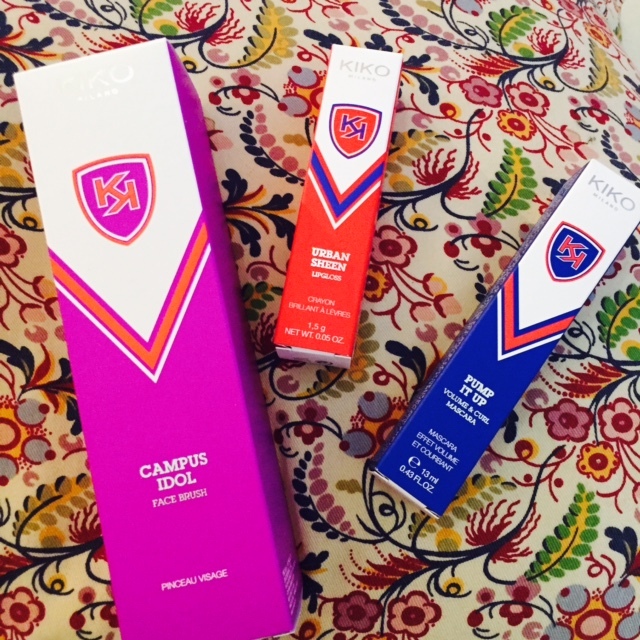 I received a few items from the Kiko Campus Idol collection in my Hull bloggers March meet goodie bag. 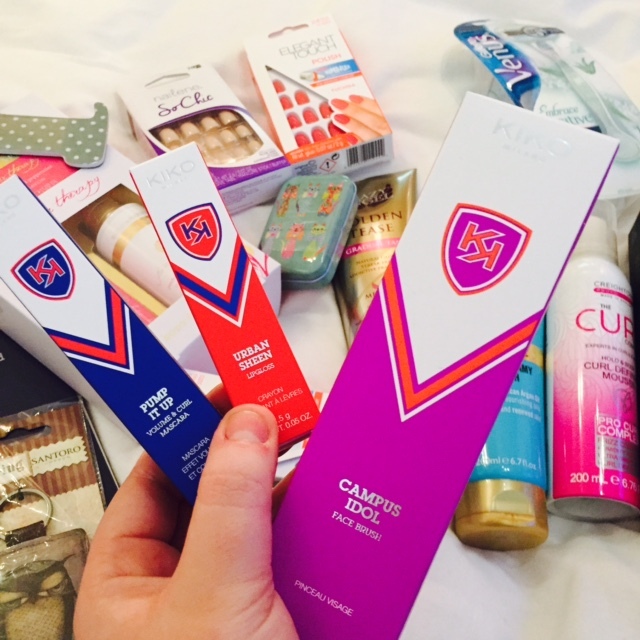 Kat did an amazing job with the goodie bags and I was so excited to see that Kiko was one of the brands involved. 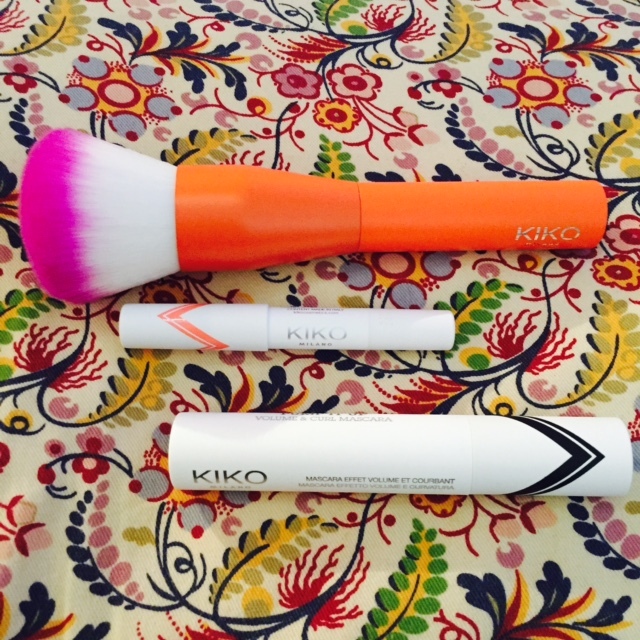 I have bought a few items recently from Kiko and I'm loving them. See my make up haul post featuring the a few Kiko items here, I have even mentioned them in my monthly favourites! Any way, that is enough kiko appreciation! On to the Campus Idol collection. I was actually intrigued by this when I saw it on site but I have not had chance to pop in store and check it out so I was very happy I received a few pieces. Firstly the brush (which is not linked on there website unfortunately) is so so so soft! If truly in love andean not stop swirling it around my face. the colour is super pretty too. 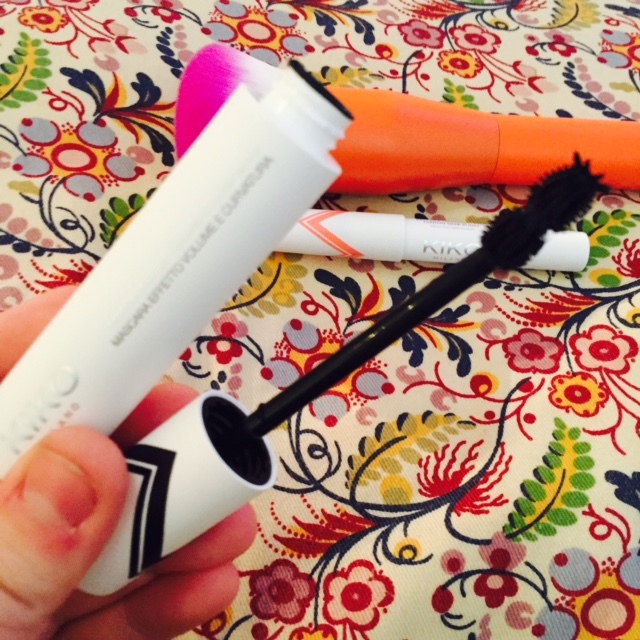 I have been using it as an all over face powder brush and I have found it is pretty effective :D.
The mascara I have found a bit hard to use so far as the brush is very oddly shaped ! However, I feel like I will master it after a few more applications. The formula seems pretty good so far and I like that it is very black! 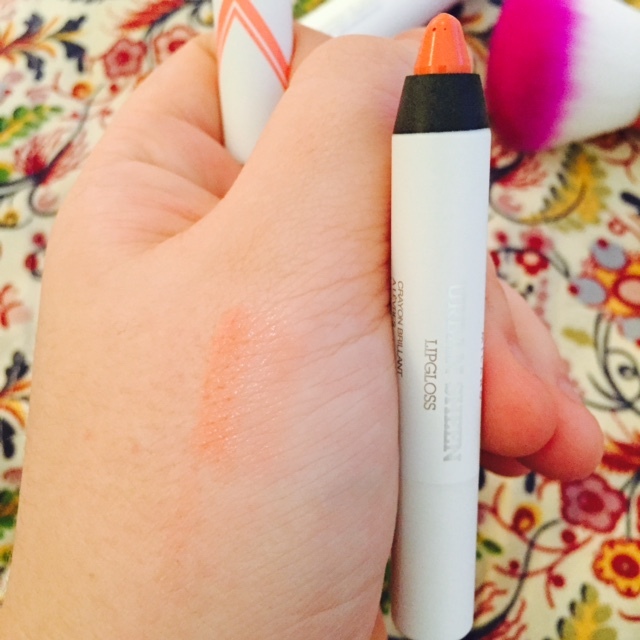 Last but not least I have the lipgloss pencils, I have a peachy toned one that is perfect for my skin tone. This is great to add a quick slick of colour. They are fairly moisturising but don't really have a great colour pay off - which I think is the point. Over all I'm liking this collection for far and I am excited to try out more from kiko in the future.